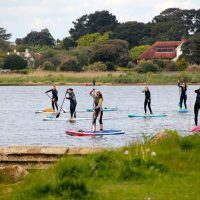 Classes and Bespoke Courses in Mudeford. Somatically Inspired Hatha Flow Classes (dry land, indoor!) Weds 7.30pm. 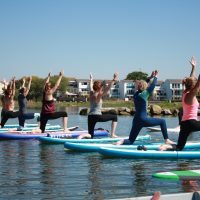 SUP Yoga and Paddle Fit classes on a varying schedule (as these depend on weather & tides). Check out the gallery too! Individual and group private bookings available. Please check out the relevant page (see also links below) for more information and to book. 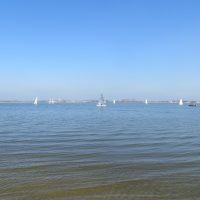 For email notifications (occasional updates and early-bird notification of SUP session times & dates) please subscribe to the mailing list here. 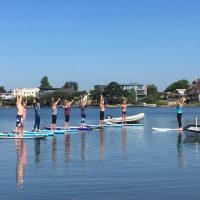 SUP Yoga is a fabulous way to practice yoga! 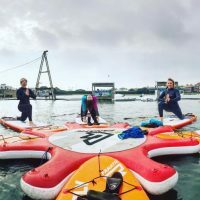 A fast-track to slowing down, connecting with nature and the energy of the water while also experiencing an extra core and balance challenge. 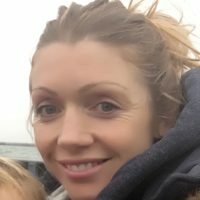 I will help you improve your paddleboarding skills & technique while also improving paddle & general fitness with a fitness boosting, calorie burning workout! 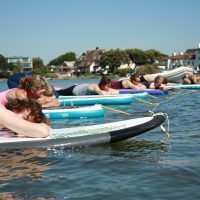 Paddle coaching in an interval style (all close by so all working at your own pace) with a technique focus too followed by a full body workout on the board designed to boost your paddle fitness as well as overall fitness. 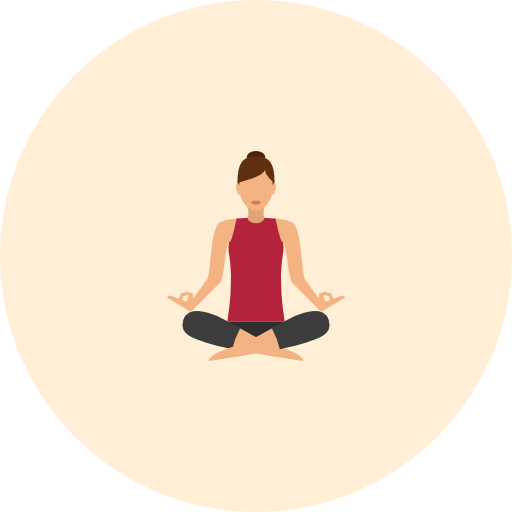 Choose from a 4, 6, 10 class programme (or a custom programme) and have your yoga practice completely tailored to your needs. 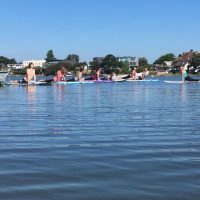 For SUP classes you can book individual or small group sessions. 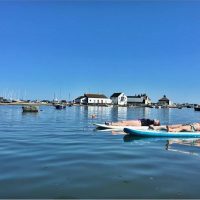 If you wish to arrange a private SUP yoga session this is possible, please contact me to discuss scheduling and prices. Bespoke variations of this also available – please contact me to discuss your needs and come up with a plan! A full day to de-stress – paddleboarding, SUP yoga, lunch, restorative yoga & relaxation – some days will include access to a spa. The work we do on the mat (or board!) is all part of helping you to feel great – getting the feel-good endorphins flowing and the energy or prana within you mobilised. We always end with shavasana where you get to completely relax. I know – this is the hard bit for many of us, it gets easier with practice! As a man with the fuller figure I was very sceptical about SUP Yoga. All I can say is absolutely loved it. My wife and I had a private class as a birthday treat. Caroline is great very knowledgable and great teaching style. Definitely be going again. Yoga on the beach was so special. Caroline was welcoming and attentive, and gave excellent tuition . So kind to let me join in when I was down for the summer ! Loved it !! You can change your mind at any time by clicking the unsubscribe link in the footer of any email you receive from us, or by contacting us at caroline.radway@gmail.com. We will treat your information with respect. For more information about our privacy practices please visit our website. By clicking below, you agree that we may process your information in accordance with these terms.